The integrated use of management system standards distils the experience and expertise of an ISO task force comprising 16 members drawn from business organizations representing a wide range of countries and sectors, as well as from standards bodies and academia. "The book provides a good mixture of theory and practice and will be useful for beginners as well as for the experienced," declares Petra Eckl of MLPC International, France, leader of the ISO task force. "It will form a bridge between the increasing number of ISO management system standards that meet specific concerns of organizations and their stakeholders, and the user organization's own and unique management approach." ISO management system standards (MSS), such as ISO 9001:2000 for quality management and ISO 14001:2004 for environmental management, are among the most widely used International Standards, while new ISO MSS are gaining ground, including ISO 22000 (food safety), ISO 28000 (supply chain security) and ISO/IEC 27001 (information security). Contrary to many other types of standard, management system standards cover multiple aspects, levels and functions of an organization and, therefore, their implementation can have a substantial impact on how an organization operates and manages its business processes. 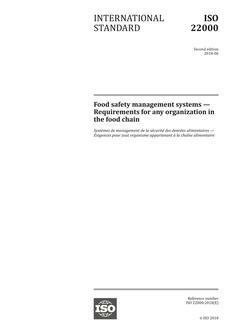 In addition, more and more organizations are applying not only one, but a range of management system standards to satisfy their own needs as well as those of external stakeholders. 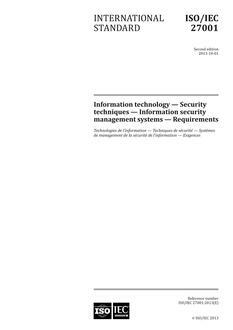 The book acknowledges that there is a market need for separate management system standards addressing different aspects, issues or risks that organizations need to manage. It provides guidance on how organizations can apply the different standards in a combined way, integrated with their business processes. Based on the practical experience of organizations that have successfully made integrated use of management system standards, the book identifies a variety of methodologies, tools and practices. 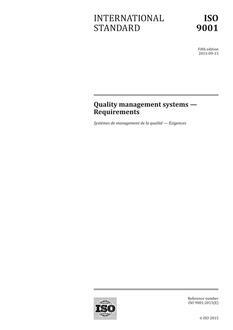 guidance on how requirements from multiple management system standards can be integrated in a combined way within the existing management system of an organization. Practice assists readers in applying the principles and methods provided to their own situation. The accompanying CD (inside the back cover), contains real-life examples extracted from 15 case studies made in a wide variety of situations. Examples are included from companies in Asia, South America and the Middle East, as well as Europe and North America. Multinational companies are included as well as smaller ones, in different sectors of activity, for profit and not-for-profit, applying different sets of management system standards. ISO Secretary-General Alan Bryden comments: "This book should prove to be a very useful complement to ISO's continuing efforts to ensure theconsistency, coverage and effective useof its management system standards."